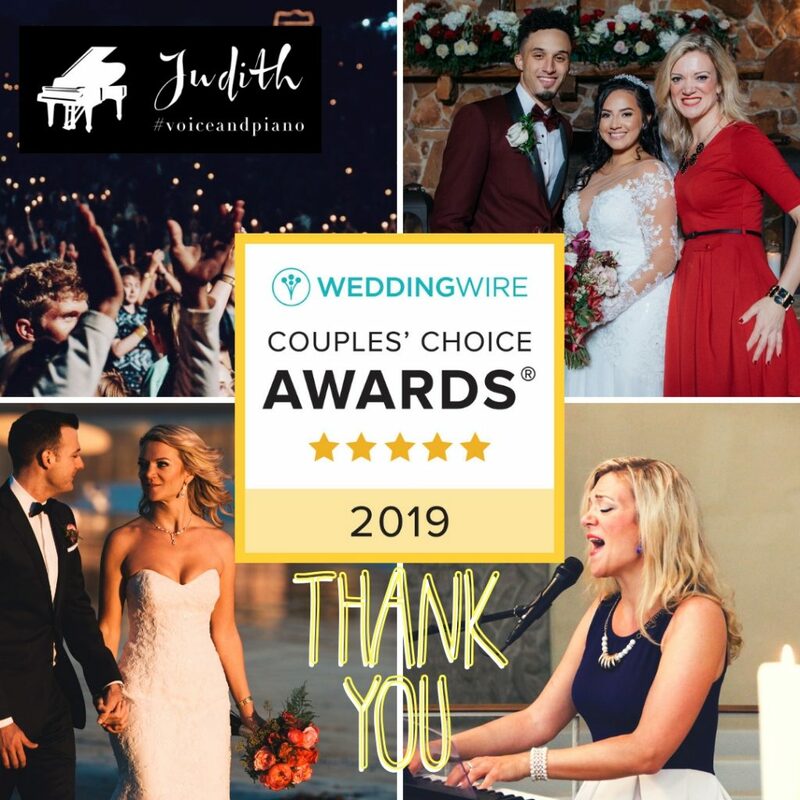 January 2019: Winner of the Couples’ Choice Award 2019! 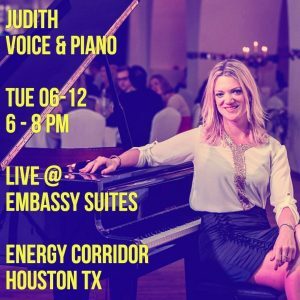 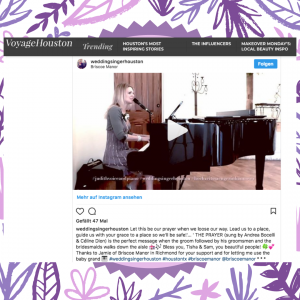 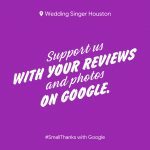 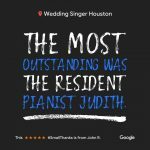 September 2018: ONLINE Singing Lessons in Houston, TX available NOW! 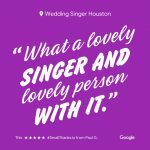 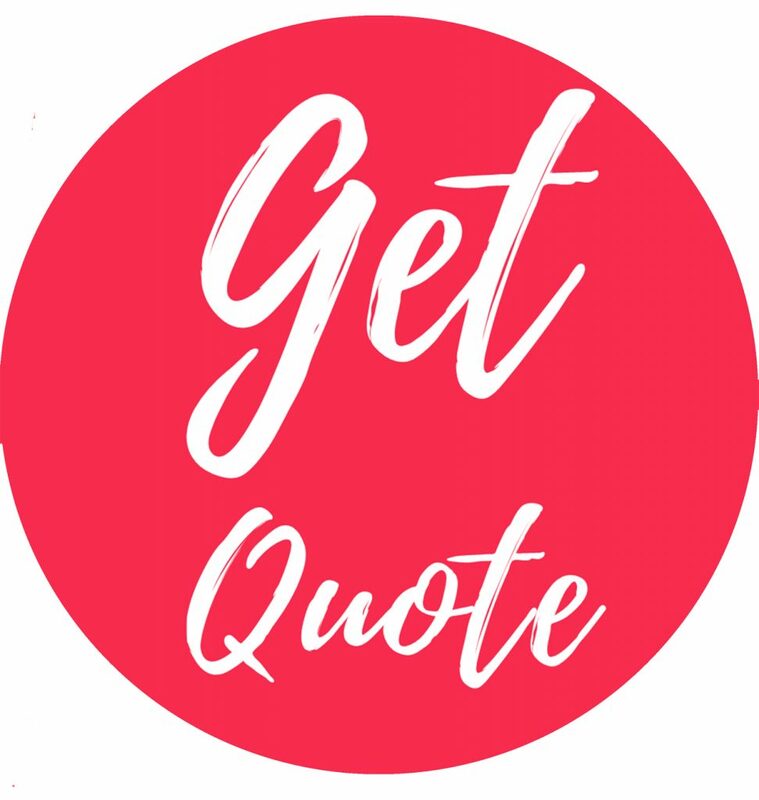 The amazing platform TAKE LESSONS makes it easy for us to connect and to be supported by a great software. 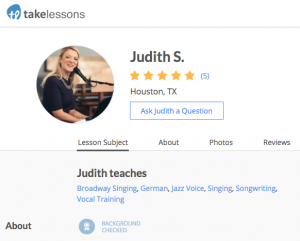 I am happy to announce that I am now available to teach you singing online! 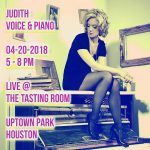 I’m proud to announce I’ve got booked for the legendary Happy Hour @ THE TASTING ROOM, Uptown Park, Houston, TX!